You don’t need a screen protector as much for your Canon like you do with other cameras. The glass LCD is very very strong. I’ve had my 5Dmkii and still use it to this day and still don’t have a scratch on the screen. That’s without using a screen protector. That being said, screen protectors are now very cheap and easy to get. So you might want to consider one. ExpertShield LCD Screen Protector – Amazon – These guys are the best. I use them on all my cameras. MegaGear LCD Optical Screen Protector – Amazon – Mixed reviews on this one. Most negative comments are about the top protector screen, not the LCD screen. I personally have all Canon batteries for my Canon, but I never really have needed more than two, so price was never a big deal. If you want to have a few backups, then third party batteries work great. The best performing CF cards are the SanDisks, Lexars, Pixel Flash, Transcend and the KomputerBay. I personally think the SanDisk and the Lexar cards are the most reliable although KomputerBay for a bargain card has come a long way. I recommend you see the complete Canon 5DS R memory card speed tests before buying any memory card. If you want to have a bunch of backup cards, it’s probably best to buy some SD cards. They are smaller, lighter and less expensive. 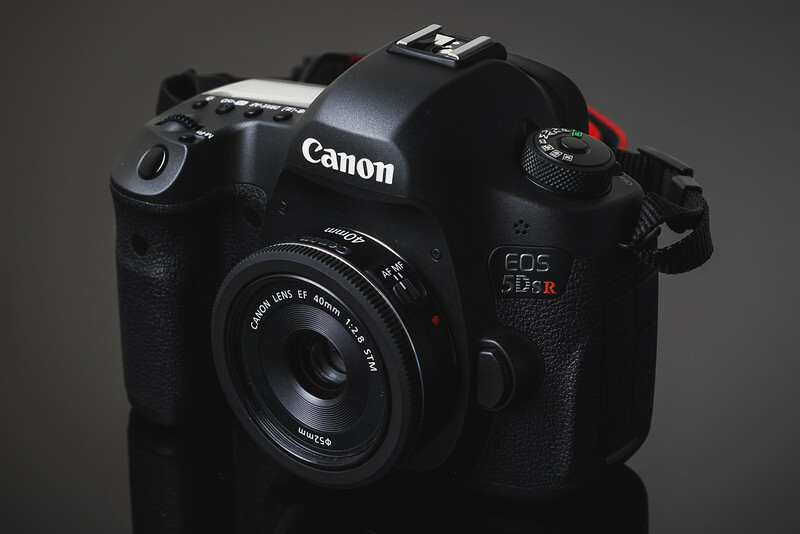 Their performance is also very good, they work fine for Sony A7r II shooters, so there is no reason they won’t work for the Canon 5DS and 5DS R.
Great tools for remotely triggering your camera shutter. These are one of those must have items, especially for landscape and HDR photographers. I use them all the time on all my cameras. I use to use timer remotes when I needed to shoot timelapse on the Canon 5Dmkii. That was until I installed the magic lantern hack which had it built in. Now the Canon 5DS R includes this interval shooting right into the camera so you can get by without one of these. But, if you want to extend the functionality or have a wireless trigger, check some of these out. You just have to own one of these. There is no way around it, I can’t even begin to explain how useful these things are. My favorite method for cleaning the sensor when air does not work is with the use of a sensor brush. Never touch the brush to keep them clean. Then blow some air on the bristles with a rocket air to give a static charge. You’ll find they can pick up those stubborn pieces of dust that air won’t get. 6-Pack Micro Fiber Cleaning Cloths – Amazon I go through these like socks. Can never have enough. I have a bunch of straps, but I used the Canon straps for years. They do last awhile but do fall apart eventually. Right now my favorite strap that would support a DSLR is probably the Hard Graft Re-Process. C-Loop is making some good straps now as well as Black Rapid. Here are a few options of straps that hang from the bottom tripod mount. As I continue to buy and review accessories I’ll continue to update these lists. I still have yet to find the perfect tripod for the right price. There are the Really Right Stuff Tripods but I’m still looking for a better bang for my buck. I’ve also collected a series of straps, but they’re mostly for lighter cameras. Right now I like the Hardgraft Re-Process Strap and I think it will work great for the Canon 5DS. But I’m still collecting more and will update as I go.